"By using defense spending as an overall proxy for government spending" what does this study by the Mercatus Center at George Mason University really show? In response to the financial crisis, Congress passed the American Recovery and Reinvestment Act (ARRA) in February 2009, which totaled $789 billion in government spending. President Obama reassured anxious Americans that this spending would “revive our economy” and “create 3.5 million jobs” over the next two years. A new study by Harvard professor Dr. Robert Barro and Charles Redlick tests this claim and the economic theory that underlies it by using defense spending as a proxy for overall government spending. Their research finds that greater government spending does not aid the economy; in fact, it causes decreased consumption and investment. To me? It shows that "greater government defense spending does not aid the economy; in fact, it causes decreased consumption and investment." Ain't it funny how the cookie crumbles? Libertarianism: If Not Now, Then When? With the meltdown of the American economy, what better time to ask: Can libertarianism come to the rescue? Read more about Do Libertarians Have Answers? James Howarth is a little confused by two letters he has received from the Internal Revenue Service. So, he gets a letter containing a bill for 5-cents ... then gets a letter with a notice that he has a 4-cent refund coming. Both letters were ... mailed. Just what is the cost of mailng a letter these days? Does the IRS have to pay postage? How many of these types of letters do you suppose get mailed by the IRS every year? Don't you think they could tell the computer to kick back any bills or refunds that are under $1.00? or $.50? The expense of printing the invoice (along with the accompanying payment coupons, etc) stuffing the envelope, mailing the letters ... cost us a whole lot more than the 5-cents the IRS would have collected. 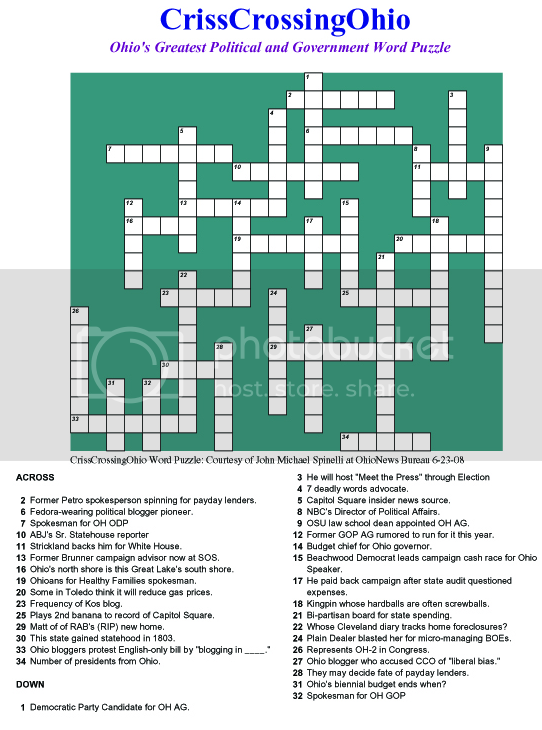 Are you puzzled by government in general and Ohio government in particular? Don’t have a clue about what’s happening, what it means or who’s responsible for it? The following is a short discussion, abit of a long read, by two Vietnam Veterans, on a VFP/VVAW, group board. The first post is a copy of a question asked and answered by another Vietnam Veteran. The two posts following that are a reply to the original than an answer to that reply. I would hope that it might help our present Brothers and Sisters, serving in Theaters of War and when they return from, to help find the answers to any questions that may be. With the Mutiple Tours, Extended Tours, ever Changing Reasons For, and the initial ignorance of what type of Conflict they were led into, as this countries military had already had a long running battle with Guerilla/Insurgent warfare and those lessons still aren't being applied, there will be many more questions that need answering than even we 'Nam vets have been seeking answers for, to the closed ears of our Government and the People of this Country.